We are a dedicated team of oral healthcare professionals committed to providing education and superior dental treatment in an enjoyable, relaxing and safe environment. Our commitment is to deliver quality care beyond our patient’s expectations while building lifelong relationships with our patients, community and each other. At Advanced Dental, we set our sights on making your visit as comfortable as possible. Nitrous oxide, blankets, and iPods are available for your comfort. The Team at Advanced Dental looks forward to getting to know you and your family. 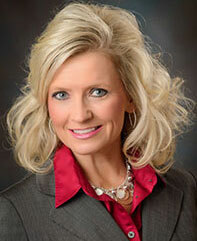 Yvonne A. DeWitte is originally from Baltic, South Dakota. She received her Bachelors of Arts Degree from Augustana College in Sioux Falls, South Dakota in 1992. Dr. DeWitte graduated from the University of Nebraska Medical Center College of Dentistry in 1996. Dr. DeWitte practiced in Eau Claire, Wisconsin, for 7 years where she was very active in the dental community. She participated in the Eau Claire County Dental Society where she served positions of Secretary/Treasurer, Vice-President, and President. She also was in the West Central Wisconsin Study Club, Wisconsin Dental Association, and the American Dental Association.